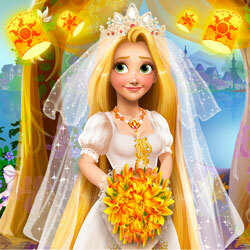 Description: Your favorite blonde princess is getting ready for her wedding day! Will you help her be the most beautiful bride? Choose a discreet make-up and then pick out your favorite wedding dress, hairstyle, jewelry and bouquet. With your help she'll look absolutely stunning!